These calls for ethnic cleansing and genocide are increasing in frequency. The political climate in Israel has continued to shift so sharply to the right in the past few years that a fascist discourse is now palpable in the daily life of the country. In Tel Aviv in August, some of the right-wing protesters who beat leftists demonstrating against the siege of Gaza wore T-shirts bearing neo-Nazi symbols and photos, including T-shirts bearing the slogan “Good night left side,” a neo-Nazi slogan popular in Europe at rock concerts featuring far-right bands, as a response to the original anti-fascist slogan: “Good night white pride.” Nearly half of the Jewish population of Israel supports a policy of ethnic cleansing of Palestinians, and major portions of the population support complete annexation of the occupied territories and the establishment of an apartheid state, according to a 2012 poll. The Zionist project may have been founded – we now know from the spate of historical studies that have emerged in recent years – on systematic ethnic cleansing and terrorism against the Palestinians. Article II of the UN Convention of 1948 defines genocide as “acts committed with the intent to destroy, in whole or in part, a national, ethnic, racial or religious group.” There is little doubt that we are seeing pre-genocidal activity in Israel-Palestine. What are the underlying structural roots in the Israeli political economy bringing about such genocidal pressures? To answer this question we must step back a few years to focus on the larger structural changes associated with capitalist globalization and the integration of Israel and the Middle East into the new global order. The globalization of the Middle East starting in the late 20th century fundamentally changed the social structure of Israel and the political economy of its colonial project. Restructuring through capitalist globalization has brought about an important shift in the relationship of Palestinians to that project and generated conditions that make it easier for the Israeli right to raise the specter of genocide. Israel’s rapid globalization starting in the late 1980s coincided with the two Palestinian intifadas (uprisings) and with the Oslo Accords, which were negotiated from 1991 to 1993 and then broke down in the following years. Transnational elites had argued as the Cold War wound down that the emerging global capitalist economy could not be stabilized and made safe for transnational capital accumulation in the midst of violent regional conflicts around the world and they began to push for the agenda of “conflict resolution,” or the negotiated settlement of smoldering regional conflicts, from Central America to southern Africa. Backed and nudged on by the United States and transnational elites, as well as by powerful Israeli capitalist groups, Israeli rulers entered into negotiations with the Palestinian leadership in the 1990s in large part as a response to the escalation of Palestinian resistance in the form of the first intifada (1987-1991). The Oslo process can be seen as a key piece in the political jigsaw puzzle brought about by the integration of the Middle East into the emerging global capitalist system (an integration that also constitutes the structural backdrop to the Arab Spring, although that is a story for another time). The Oslo Accords, signed in 1993, turned over a Bantustan-like autonomy to the Palestinian Authority (PA) in the occupied territories for what was supposed to be a five-year interim period in which negotiations would continue over key “final status” issues, among them, the status of refugees (and their right to return), Jerusalem, water, final borders and a full Israeli withdrawal from the occupied territories. Yet during the Oslo period (1991 to 2003, when the process finally broke down altogether), the Israeli occupation of the West Bank and Gaza greatly intensified. Why did the “peace process” break down? First, the process was intended not to resolve the plight of the dispossessed Palestinian majority, but to integrate an emergent Palestinian elite into the new global order and give that elite a stake in defending that order and in assuming the role of internally policing the Palestinian masses inside the occupied territories. It has been shown in fact that Palestinian class formation during this time involved the rise of transnationally-oriented Palestinian capitalists integrated with Gulf capital elsewhere and hoping to convert a new Palestinian state into a platform for its own class consolidation. The PA was expected to mediate transnational capital accumulation in the occupied territories while maintaining social control over the restive population. Second, the Israeli economy globalized based on a high-tech military-security complex, the importance of which will become clear momentarily. There has been an ever-deeper interpenetration of Israeli capital with transnational corporate capital from North America, Europe, Asia and elsewhere. In effect, Israeli capital has integrated inextricably into global circuits of capital. Oslo helped this process along, facilitating an Israeli transnational capitalist presence throughout the Middle East and beyond, in part by allowing conservative Arab regimes to lift the regional economic boycott of Israel and in part by opening negotiations on the creation of a Middle East Free Trade Area (MEFTA) that inserted the Israeli economy into regional economic networks (throughout, e.g., Egypt, Turkey, Jordan) and integrated the whole region much more deeply into global capitalism. And third, closely related, Israel experienced a major episode of transnational immigration, including the influx of some 1 million Jewish immigrants, which undermined Israel’s need for Palestinian labor during the 1990s, although this would change later in the 21st century. Up until globalization took off in the mid-1980s, the relationship of Israel to the Palestinians reflected classical colonialism, in which the colonial power had usurped the land and resources of the colonized and then exploited their labor. But Middle Eastern integration into the global economy and society on the basis of neoliberal economic restructuring, including the well-known litany of measures such as privatization, trade liberalization, International Monetary Fund-supervised austerity and World Bank loans, helped spark the spread of mass worker and social movements and grassroots democratization pressures, reflected in the Palestinian intifadas, the labor movement across North Africa and mounting social unrest – most visibly in the 2011 Arab uprisings. This tidal wave of resistance forced a reaction from Israeli rulers and their US backers. The Israeli economy has undergone two waves of restructuring as it has integrated into global capitalism, as Nitzan and Bichler show in their study, The Global Political Economy of Israel. The first, in the 1980s and 1990s, saw a transition from a traditional agriculture and industrial economy towards one based on computer and information technology (CIT), high-tech telecommunications, web technology, and so on. Tel Aviv and Haifa became “Middle Eastern outposts” of Silicon Valley. By 2000, a full 15 percent of the Israeli GDP and half of its exports originated in the high-tech sector. Then from 2001 and on, and especially in the wake of the 2000 dot-com bust and worldwide recession, followed by the events of September 11, 2001, and the rapid militarization of global politics, Israel saw a further shift towards a “global military-security-intelligence-surveillance-counter-terrorism technologies complex.” Israeli technology firms have pioneered the so-called homeland security industry. Indeed, Israel has become globalized specifically through the high-tech militarization of its economy. Israeli export institutes estimate that in 2007 there were some 350 Israeli transnational corporations dedicated to security, intelligence and social control systems that stood at the center of the new Israeli political economy. The Palestinian population of the occupied territories constituted up until the 1990s a cheap labor force for Israel. But with Israeli incentives to the in-migration of Jews from around the world and the collapse of the former Soviet bloc, a major influx of Jewish settlement has occurred in recent years, including 1 million Soviet Jews, themselves often displaced by post-Soviet neoliberal restructuring. As well, the Israeli economy began to draw on transnational immigrant labor from Africa, Asia and elsewhere as neoliberalism and crisis displaced millions in former Third World regions. The rise of new systems of transnational labor mobility and recruitment have made it possible for dominant groups around the world to reorganize labor markets and recruit transient labor forces that are disenfranchised and easy to control. While this is a worldwide phenomenon, it became a particularly attractive option for Israel because it does away with the need for politically troublesome Palestinian labor. Over 300,000 immigrant workers from Thailand, China, Nepal and Sri Lanka now form the predominant labor force in Israeli agribusiness in the same way that Mexican and Central American immigrant labor does in US agribusiness, and under the same precarious conditions of super-exploitation and discrimination. The racism that many Israelis have shown towards Palestinians – itself a product of the colonial relationship – has now translated into an increasing hostility towards immigrants in general as the country becomes a thoroughly racist society. It is no wonder, then, that precisely in 1993 – the year the Oslo Accords were signed and went into effect – Israel imposed its new policy, know as “closure,” that is, sealing off Palestinians into the occupied territories, ethnic cleansing and a sharp escalation of settler colonialism. In 1993, the year the “closure” policy began, per capita GNP in the occupied territories plummeted 30 percent. By 2007, the rates of unemployment and poverty had topped 70 percent. From 1993 to 2000 – supposedly the years in which a “peace” agreement was being implemented that called for an end to the Israeli occupation and the establishment of a Palestinian state – Israeli settlers in the West Bank doubled to 400,000, and then topped half a million by 2009, and their numbers continue to climb. Acute malnutrition in Gaza is on the same scale as some of the poorest nations in the world, with more than half of all Palestinian families eating only one meal a day. As the Palestinians were pushed out of the Israeli economy, the policies of closure and expanded occupation in turn destroyed the Palestinian economy. The collapse of the Oslo Accords and the farce of ongoing “peace” negotiations in the midst of an ever-expanding Israeli occupation may present a political dilemma to transnational elites and some of their Israeli counterparts who wish to find mechanisms for cultivating and coopting Palestinian elites and capitalist groups. However, seen from the logic of the dominant sectors of militarized capital embedded in the Israeli and international economy, this situation does not constitute a tragic loss of opportunity for conflict resolution but rather a golden opportunity to expand capital accumulation – to develop and market worldwide weapons and security systems through the use of the occupation and the captive Palestinian population as the target and testing ground. The sociology of race/ethnic relations identifies three distinct types of racist structures, that is, structural relations between dominant and minority groups. One is what has been called “middle men minorities.” In this structure, the minority group has a relationship of mediation between the dominant and the subordinate groups. This was historically the experience of Chinese overseas traders in Asia, Lebanese and Syrians in West Africa, Indians in East Africa, Coloureds in South Africa, and Jews in Europe. When “middle men minorities” lose their function as structures change they can be absorbed into the new order or can become subject to scapegoating and even genocide. Jews historically occupied this role of “middle men minority” in feudal and early capitalist Europe. The structure of feudal Europe assigned to Jews certain roles vital to the reproduction of European feudal society. These included managing long-distance trade and money lending. Such activities were proscribed by the Catholic Church and were not an ordinary part of the lord-serf relationship at the heart of feudalism, yet they were vital to the maintenance of the system. As capitalism developed in the 19th and 20th centuries, new capitalist groups took on the functions of commerce and banking, making the Jewish role superfluous for the new ruling classes. As a result, Jews in Europe came under intense pressures as capitalism developed and eventually suffered genocide, given a deadly mix of scapegoating for capitalism’s hardships, the loss by Jews of their previously vital economic role, the world crisis of the 1930s, and the Nazi ideology and program. A second type of racist structure is what we call “super-exploitation/disorganization of the working class.” This is a situation in which the racially subordinate and oppressed sector within the exploited class occupies the lowest rungs of the particular economy and society within a racially or ethnically stratified working class. What is key here is that the labor of the subordinate group – that is, their bodies, their existence – is needed by the dominant system even if the group experiences cultural and social marginalization and political disenfranchisement. This was the historical post-slavery experience of African-Americans in the United States, as well as that of the Irish in Britain, Latinos/as currently in the United States, Mayan Indians in Guatemala, Africans in South Africa under apartheid, and so on. These groups are often subordinated socially, culturally and politically, either de facto or de jure. They represent the super-exploited and discriminated sector of racially and ethnically divided working and popular classes. This was the experience of Palestinians in the Israeli political economy until recently and under the unique circumstances of Israel and Palestine in the 20th century. The final racist structure is exclusion and appropriation of natural resources. This is a situation in which the dominant system needs the resources of the subordinate group but not their labor – that is, not their bodies, their physical existence. This is the racist structure most likely to lead to genocide. It was the experience of Native Americans in North America. Dominant groups needed their land, but not their labor or their bodies – since African slaves and European immigrants provided the labor needed for the new system – and so they experienced genocide. It has been the experience of the indigenous groups in Amazonia – vast new mineral and energy resources have been discovered on their lands, yet their bodies stand in the way of access to these resources by transnational capital, literally, and are not needed, hence there are today genocidal pressures in Amazonia. This is the more recent condition that African-Americans face in the United States. Many African-Americans went from being the super-exploited sector of the working class to being marginalized as employers switched from drawing on black labor to Latino/a immigrant labor as a super-exploited workforce. As African-Americans have become structurally marginalized in significant number, they are subject to heightened disenfranchisement, criminalization, a bogus “war on drugs,” mass incarceration and police and state terror, seen by the system as necessary to control a superfluous and potentially rebellious population. Now, like the Native Americans before them – and unlike the black South Africans – Palestinian bodies are no longer needed and simply stand in the way of the Zionist state, the ruling groups, the setters and would-be settlers who need Palestinian resources, specifically land, but not Palestinians. To be sure, although Palestinian workers are being phased out of the Israeli economy, thousands of West Bank Palestinians still labor in Israel. The Russian and other Jewish immigrants who replaced Palestinian labor inside Israel in the 1990s went on in subsequent years to rely on their own racial privilege to be drawn into the Israeli middle class, as they did not want to work in jobs associated with Arabs. But as this has happened, African, Asian and other migrants from the global south have continued to pour into Israel. This shift to “surplus humanity” appears to be more advanced for Gazans, who remain locked out and relegated to the concentration camp that Gaza has become. The Gaza Palestinians appear as the first group facing genocidal activity. Zionists and defenders of the Israeli state take great offense at any analogy between the Nazis and Israeli state actions, including the charge of genocide, in part, because the Jewish Holocaust is used by the Israeli state and the Zionist political project as a mechanism of legitimation, so that to draw such analogies is to undermine Israel’s legitimating discourse. It is crucial to point this out, because that discourse has gradually come to legitimate current or proposed Israeli policies that demonstrate an ever more frightening similarity with other historical instances of genocide. Morris’ views do not represent consensus inside Israel, much less internationally and there are multiple divisions, points of tension and contradictions among Israeli and transnational elites. There is also a mounting worldwide movement for boycott, divestment and sanctions (BDS) that places pressure on dominant groups to reach an accommodation in defense of their own economic interests. This is an unpredictable moment. Whether or not structural pressures for genocide actually materialize into a project of genocide will depend on the historical conjuncture of crisis, the political and ideological conditions that make genocide a possibility, and a state agent with the means and the will to carry it out. A slow-motion genocide apparently has already begun in Gaza, where there have been month-long Israeli sieges every few years that leave several thousand dead, tens of thousands injured, hundreds of thousands displaced and the entire population deprived of the necessities of life, with astounding Israeli public consensus supporting these campaigns. These overall conditions of a project of genocide are far from incarnation, but they are certainly percolating at this time. It is up to the world community to struggle alongside the Palestinians and decent Israelis to prevent such an outcome. This indicates Salaita may be the victim of a retaliation campaign. Salaita is the author of Israel’s Dead Soul and The Uncultured Wars, Arabs, Muslims and the Poverty of Liberal Thought, as well as a contributor to a number of publications including Salon and The Electronic Intifada. Its time for us to talk. I know for many of you that you still don’t want to talk – many of you have spent the last few weeks effectively covering your ears and eyes, endlessly repeating IDF talking points, as if they will magically make the reality disappear – but if there was ever a time to take the plunge and really look in the mirror at where we have gotten ourselves, this is the time. 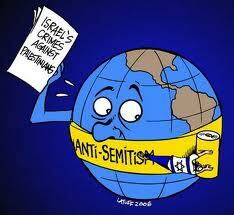 It’s time for us to talk about Israel, it’s time to talk about Zionism. Those of us, those Jews who have spoken out against Israel’s inhumane actions or Zionism’s warped nationalistic beliefs, have never been well received within our community. When we have argued for human rights and international law, we have been ostracized and excluded from all aspects of mainstream Jewish life. When we have argued against an exclusionary, segregationist regime, we have been attacked with the most vicious of slanders; “self-hating Jews,” “Nazi collaborators,” and worse. When we have tried to stand up against colonialist violence and occupations, we have been met with angry rejection from our closest friends and family. When we have tried to reaffirm the values that Palestinians are human beings, deserving of equal rights and a future with dignity, we have been met with the full force of an incredibly powerful and well-funded Pro-Israel public relations machine. A climate of neo-McCarthyism has reigned within side the Jewish community stifling all debate, dissent and free thought on the issues of Israel, Palestine and Zionism. But its time for all of that to end. I understand that the last few weeks may have been hard for you. From a young age we all have been raised – indoctrinated even – on Pro-Israel ideology. Every facet of our Jewish life has been infected with Zionism, from our youth groups, to our synagogues, to our Hebrew schools, to our family Seders. “The world hates us, Israel protects us, there we are free and safe and democratic”– we’ve come to believe. But in the last few weeks we have seen that supposed progressive, freedom loving, democratic Israel unmask itself before the whole world as a lynch mob society. We American Jews have been tricked into projecting all of our hopes and insecurities onto Israel, and to have those beautiful dreams and illusions shattered so brutally can be difficult. But for all the emotional pain we may be going through in seeing our Star of David pasted on the bombs being dropped on innocent civilians, it’s nothing compared to the pain being felt by those civilians. Palestinians have suffered greatly at our hands. They have been violently forced from their land and homes to appease the Holocaust guilt of Europe and the greed of Zionist colonists. They have been forced to live under an openly Jim Crow, discriminatory and segregationist “Jewish Only” apartheid state. And the whole process has become endemic in its repetition, with wave after wave after wave of land theft, oppression, segregation and violence. The Nakba has been made into a continuous, never ending, 66-year-old ongoing catastrophe. Palestinians have been bombed, shot, detained, brutalized, tortured, dehumanized, occupied, and worse. All in our name. We Jews have a lot of blood on our hands, we have been made complicit in these inhuman acts, and we have a responsibility now to do something about it. We need to rethink what “Never Again” really means; does it mean for us “Never Again for Jews Only,” or does it mean “Never Again For Everyone”? I am not asking or expecting you, the whole American Jewish community, to renounce everything you have been taught to believe overnight, just yet. But I am asking and expecting you to open your minds a little, to start questioning what you have been taught. The Pro-Israel bias in our community has corrupted and stifled open free discourse for far too long. The exclusion of any dissenting Jewish opinion outside of the most narrow of ultra-Zionism has led our people into a cul-de-sac of intellectual dishonesty, moral poverty and political thuggery, where questioning is discouraged and obedience is rewarded. This must come to end, now, if we are to redeem ourselves and pave a path for the future. All I ask is the following; that you reopen our community to dissenting opinion, that you open up every synagogue, every Jewish community center, every Hillel, every Hebrew School, to a free debate and discussion on Israel, Palestine and the core beliefs of Zionism. I and others like me, want to make our case to you, directly, as Jews to Jews, on why the Palestinians deserve our solidarity, on why Israeli militarism must be opposed, on why the “Jewish State” of Israel necessarily leads to apartheid, and on why the nationalistic and supremacist beliefs of Zionism have led to the corruption of our people with the sins of racism and colonialism. I don’t expect a warm reception. But I do expect at least a moment of your time, and a part of your attention. You owe it to yourself, to your people, to your children, and to all Palestinians, to enter into this discussion with open minds and open hearts and start confronting the hard questions. Please help us in taking this moment and reassess who we are, what we have done, and where we want to go from here. I look forward to the discussions ahead. Benjamin Silverman isa long-time Palestinian solidarity activist, and self-identified Jewish Ant-Zionist, involved in Jewish Voices for Peace andStudents for Justice in Palestine at The New School. Jewish Voice for Peace welcomes all people, Zionist, non-Zionist, or anti-Zionist, who stand up for justice and human rights. Israel’s renewed slaughter of Palestinians in Gaza – after failed peace talks and ethnic slayings by both sides – is further proof that the Zionist experiment has failed and that the only reasonable way forward is to recognize the equal rights of all people living in the region, writes John V. Whitbeck. Now that the American-monopolized “peace process” has expired – and violence and hate are exploding again across Israel and Palestine – Western nations should seize the initiative, join forces and try to do something useful for Israelis, Palestinians and peace. If Western nations still believe that a decent “two-state solution” is conceivable, several useful initiatives are immediately available. They could support and reinforce the current two-state legality by joining the 134 states which have already extended diplomatic recognition to the State of Palestine. They could also require Israelis seeking visas to visit their countries to produce documentary evidence that they don’t reside in occupied Palestine. Most constructively, Western nations could impose economic sanctions on Israel and intensify them until Israel complies with international law and relevant United Nations resolutions and ends the 47-year-long occupation. If Western nations are unwilling to take such initiatives or if they have concluded, not unreasonably, that a decent “two-state solution” is no longer conceivable and that the only issue now is whether the current one-state reality will continue to be an apartheid reality or can be transformed into a democratic one, they should reflect upon their own histories and responsibilities in order to identify the most useful way forward. The harsh reality is that Zionism is, and has always been, an anti-Semite’s dream come true, offering the hope that Jews in one’s own country can be induced to leave and move elsewhere. The British politician Arthur J. Balfour, who gave his name to the fateful 1917 declaration endorsing “the establishment in Palestine of a national home for the Jewish people,” was an earnest supporter of the 1905 Alien Act, which was specifically designed to stem the inflow into Britain of Jews fleeing from persecution in czarist Russia. Subsequently, in the aftermath of the Holocaust, which was a wholly European abomination, European governments – as well as those of the United States, Canada and Australia – shamefully brushed aside Arab pleas to treat the resettlement of displaced Jews as a duty and obligation for the whole world. Western nations refused to relax their immigration restrictions, thereby forcing most of the Jewish refugees to seek to build new lives in Palestine, even though many would have preferred to settle elsewhere. That approach could be still be reversed now. Western nations, which are no longer anti-Semitic, could and should be opening their doors wide to any and all Israeli Jews who might be tempted to build a new and better life for themselves and their children, with less injustice and less insecurity, by returning to their countries of origin or emigrating to other countries of their choice. They could be offered immediate residency rights, generous resettlement assistance and a fast track to citizenship (if they do not already have it). Such a policy would be far better than continuing to provide unquestioning support for an ethno-religious-supremacist, settler-colonial experiment in Israel/Palestine that violates principles of justice, human decency and international law. Offering genuine “Laws of Return” for the descendants of Jews who survived the Holocaust would be profoundly philo-Semitic, pro-Jewish and, yes, anti-Zionist. Such a policy would reflect a moral, ethical and self-interested recognition that political Zionism, like certain other prominent Twentieth Century “isms” which once captured the imaginations of millions, was a tragically bad idea – not simply for those innocents caught and trampled in its path but also for those who embraced it. Even if sustainable with Western support, Zionism does not deserve to be sustained. It has already caused and, if perpetuated, will continue to cause profound problems for the West and its relations with the rest of the world. Western nations like to call for “confidence-building measures” from Israelis, Palestinians and other Arabs without offering any themselves. A multinational initiative to atone for the West’s past sins against Jews by welcoming Israeli Jews to resettle in Western nations would constitute a hugely constructive confidence-building measure which should, logically, be opposed only by people who are either anti-Semites or Zionists – or both. 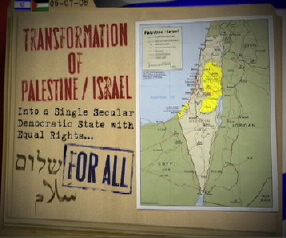 In the land which, until 1948, was called Palestine, democracy and equal rights in a unitary state should offer more realistic hope for peace with some measure of justice than continued recycling of a partition-based “peace process,” which is widely recognized to have been a cynical exercise in killing time and which, even if “successful,” would simply legitimize, reward and perpetuate ethnic cleansing, racism and apartheid – scarcely a recipe for lasting peace, let alone for any measure of justice. For those who would prefer not to live in a unitary state with democracy and equal rights for all, there would be the freedom of choice and attractive options for resettlement elsewhere. Old assumptions, including the irreversible “success” of the Zionist experiment, should now be questioned. Even once heretical ideas, including the peaceful rollback of the Zionist experiment – at least in its current, aggressively exclusivist, “nation-state of the Jewish people” form – and its replacement by democracy through voluntary personal choice rather than through violence, should now be considered. Wonderful event. Historic occasion. This was sponsored by the July 4th Alliance for Palestinian Freedom. We specifically used “Zionist Israel” even though some people think we don’t need to mention Zionism either because they think it is redundant when mentioning Israel or that somehow Zionism is not totally implicated in What Israelis do to deny Palestinians their rights. I personally think both are wrong. The cards we handed out said on one side Palestine/Israel: Peace or Apartheid. Let’s talk about Zionism. Every Fourth of July, in almost every American city and town there are Fourth of July parades celebrating America’s independence. The Wellfleet July 4th Parade was saw 1000s of people lining the route, fire engines spraying the crowd, floats blowing bubbles or throwing candy or passing out bead necklaces to the kids. The July 4th parade in Wellfleet, MA was like that except for the presence of the July 4th Palestinian Freedom Alliance float. The applause and encouragment from the crowd was genuine. The marchers from ages 81 to 14 handed out 2000 of the postcards showing loss of Palestinian land from 1947 as they called out “Independence for Everyone.” “Freedom and Justice for Everyone.” The July 4th Alliance for Palestinian Freedom specifically used “Zionist Israel” to highlight Zionist ideology as the specific source of the enmity, not necessarily Israel per se. Now we know: In the Jewish state, there is pity and humane feelings only for Jews, rights only for the Chosen People. The Jewish state is only for Jews. The youths of the Jewish state are attacking Palestinians in the streets of Jerusalem, just like gentile youths used to attack Jews in the streets of Europe. The Israelis of the Jewish state are rampaging on social networks, displaying hatred and a lust for revenge, unprecedented in its diabolic scope. Some unknown people from the Jewish state, purely based on his ethnicity. These are the children of the nationalistic and racist generation – Netanyahu’s offspring. For five years now, they have been hearing nothing but incitement, scaremongering and supremacy over Arabs from this generation’s true instructor, Prime Minister Benjamin Netanyahu. Not one humane word, no commiseration or equal treatment. They grew up with the provocative demand for recognition of Israel as a “Jewish state,” and they drew the inevitable conclusions. Even before any delineation of what a “Jewish state” means – will it be a state that dons tefillin (phylacteries), kisses mezuzot (doorpost fixtures with prayer scrolls), sanctifies charms, closes down on the Sabbath and keeps strict kashrut laws? – the penny has dropped for the masses. The mob was the first to internalize its true significance: a Jewish state is one in which there is room only for Jews. The fate of Africans is to be sent to the Holot detention center in the Negev, while that of Palestinians is to suffer from pogroms. That’s how it works in a Jewish state: only this way can it be Jewish. In the Jewish state-in-the-making, there is no room even for an Arab who strives his utmost to be a good Arab, such as the writer Sayed Kashua. In a Jewish state, the chairman of the Knesset plenary session, MK Ruth Calderon (from Yesh Atid – the “center” of the political map, needless to say), cuts off Arab MK Ahmed Tibi (United Arab List-Ta’al), who has just returned all shaken up from a visit to the family of the murdered Arab boy from Shoafat, impudently preaching to him that he must also refer to the three murdered Jewish teens (even after he did just that). In a Jewish state, the High Court of Justice approves the demolition of a murder suspect’s family home even before his conviction. A Jewish state legislates racist and nationalist laws. The media in the Jewish state wallows in the murder of three yeshiva students, while almost entirely ignoring the fates of several Palestinian youths of the same age who have been killed by army fire over the last few months, usually for no reason. No one was punished for these acts – in the Jewish state there is one law for Jews and another for Arabs, whose lives are cheap. There is no hint of abiding by international laws and conventions. In the Jewish state, there is pity and humane feelings only for Jews, rights only for the Chosen People. The Jewish state is only for Jews. The new generation growing in its shadow is a dangerous one, both to itself and its surroundings. Netanyahu is its education minister; the militaristic and nationalist media serves as its pedagogic epic poem; the education system that takes it to Auschwitz and Hebron serves as its guide. The new sabra (native-born Israeli) is a novel species, prickly both on the outside and the inside. He has never met his Palestinian counterpart, but knows everything about him – the sabra knows he is a wild animal, intent only on killing him; that he is a monster, a terrorist. He knows that Israel has no partner for peace, since this is what he’s heard countless times from Netanyahu, Foreign Minister Avigdor Lieberman and Economy Minister Naftali Bennett. From Yair Lapid he’s heard that they are “Zoabis” – referring dismissively to MK Haneen Zoabi (Balad). Being left wing or a seeker of justice in the Jewish state is deemed a crime, civil society is considered treacherous, true democracy an evil. In a Jewish state – dreamed of not only by the right wing but also by the supposed center-left, including Tzipi Livni and Lapid – democracy is blurred. It’s not the skinheads that are the Jewish state’s main problem, it’s the sanctimonious eye-rollers, the thugs, the extreme right wing and the settlers. It’s not the margins but the mainstream, which is partly very nationalistic and partly indifferent. In the Jewish state, there is no remnant of the biblical injunction to treat the minority or the stranger with justice. There are no more Jews left who marched with Martin Luther King or who sat in jail with Nelson Mandela. The Jewish state, which Israel insists the Palestinians recognize, must first recognize itself. At the end of the day, at the end of a terrible week, it seems that a Jewish state means a racist, nationalistic state, meant for Jews only.